Autonomic Nerves: These connect to your internal organs. Autoimmune disorders: Diseases in which the immune system attacks the body’s own tissues can lead to nerve damage. This can include disorders such as systemic lupus erythematosus, Sjögren’s, rheumatoid arthritis, etc. Infections: This can include certain bacterial or viral infections such as Lyme disease, shingles, Epstein Barr virus, hepatitis C, leprosy, HIV, and diphtheria. Heredity: Disorders such as Charcot-Marie-Tooth disease are hereditary types of neuropathy. Tumors: Peripheral neuropathy can occur as a result of tumors or growths putting pressure on nerves. Nutritional imbalances and vitamin deficiencies: B vitamins, including B-1, B-6 and B-12, vitamin E and niacin are crucial to nerve health, imbalances and deficiencies can lead to peripheral neuropathy. Traumatic injury: Traumatic injury from sports or vehicular accidents can sever or damage peripheral nerves. Pressure on nerves may also result from having a cast, using crutches or repeating a motion many times, such as typing (this is often referred to as carpal tunnel syndrome, a type of peripheral neuropathy). Exposure to poisons or toxins: This includes those that contain heavy metals or chemicals, lead, mercury, and arsenic. In addition, neuropathies have also been known to have been caused by certain insecticides and solvents. Certain medications: The medications used to treat cancer (chemotherapy) can cause neuropathy. In addition, anticonvulsant agents (medications used to reduce seizures) and even some medications prescribed to treat heart and blood pressure can cause peripheral neuropathy. In most cases, when these medications are discontinued or dosages are adjusted, the neuropathy resolves. Disorders of the bone marrow: Peripheral neuropathy may also be caused by lymphoma, disorders that include abnormal protein in the blood, some forms of bone cancer, and amyloidosis (a disorder where amyloid, an abnormal protein that is usually produced in your bone marrow builds up in any tissue or organ). Other diseases: These could include connective tissue disorders, liver disease, kidney disease, liver disease, and an under-active thyroid (hypothyroidism), vasculitis. Alcoholism: Heavy alcohol consumption is a common cause of peripheral neuropathy. Chronic alcohol abuse often leads to certain nutritional deficiencies (particularly thiamine, B 12, and folate) that are linked to neuropathy. Damage may not be reversible but if the person stops drinking alcohol, the symptoms may lessen. Often the symptoms are symmetrical involving both hands and/or both feet. Because these symptoms occur in areas covered by gloves or stockings, peripheral neuropathy is often described as having a ‘glove and stocking’ symptom distribution. In many cases these symptoms improve with treatment especially if the underlying cause or condition is treatable. Decreased sensations of touch. This can lead to not experiencing the pain from a cut or injury, or the feeling of wearing gloves or stocking when they are not. A loss of ‘sense of position’ which can make coordinating complex movements like walking or buttoning a shirt very difficult. Balance might also be affected. Difficulty in transmitting temperature sensations which could lead to burns. This loss of pain sensation can be a very serious problem for those suffering from diabetes and may contribute to a high rate of lower limb amputations among this group. Increased sensation of pain is often a debilitating symptom of neuropathy. Instead of numbness, it can produce the opposite effect of an increased sensation of pain or feeling severe pain from stimuli that would normally be painless. It can severely affect quality of life, ability to sleep, emotional well-being, and the ability to work. 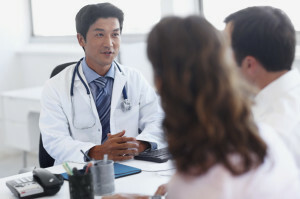 Complete medical history: Your physician will first review your medical history, this will include discussions of any current or past medical conditions, your lifestyle, any exposure to toxins, your drinking habits, and any family history of nervous symptom diseases. Neurological exam: Your physician will check your reflexes, muscle tone and strength, ability to feel sensations, coordination and posture. Diagnostic and imaging tests: This may include CT or MRI scans to show muscle quality and size, look for tumors, herniated discs or any other abnormality that might be causing your symptoms. Electromyography involves inserting a fine needle into a muscle to record electrical activity when muscles are at rest and when they contract. This can determine if your symptoms are being caused by muscle or nerve damage. Nerve biopsy: This is where a small portion of a nerve is examined to determine the cause of your specific nerve damage. 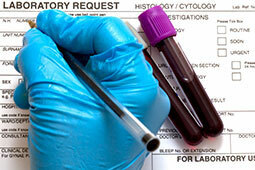 Skin biopsy: A skin biopsy would be taken to observe the number of nerve endings in the skin. 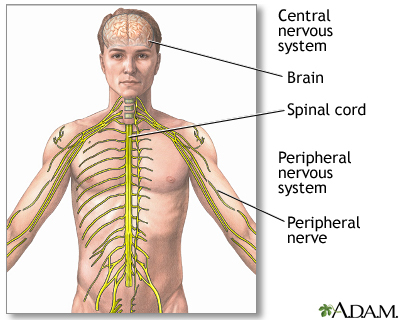 A reduction of nerve endings can signal neuropathy. Other tests to analyze nerve function: Sweat tests to record how your body sweats, autonomic reflex screen test that will record how the autonomic nerve fibers are functioning, and other sensory tests to indicate how you feel touch, temperature changes, and vibrations. Over-the-counter or non-prescription pain relievers: Over-the-counter pain medications such as nonsteroidal anti-inflammatory drugs (NSAIDs), including acetaminophen, ibuprofen, aspirin, etc. can be very helpful in relieving mild or moderate symptoms. For more-severe symptoms, your doctor may recommend prescription painkillers. Because these drugs can affect your liver or stomach function, it is very important to avoid using them for an extended period of time, especially if you regularly drink alcohol. 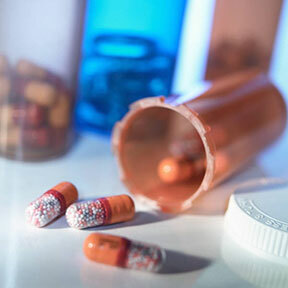 Prescription medications: Medications containing opioids can lead to dependence and addiction and are therefore generally prescribed only when other treatments fail. These drugs can include tramadol, oxycodone, conzip and others, COX-2 inhibitors, etc. Anti-seizure medications: Medications developed to treat epilepsy may also relieve nerve pain. These medications can may cause side effects that include drowsiness and dizziness. Capsaicin: Capsaicin is a substance naturally in hot peppers and can cause modest improvements in peripheral neuropathy symptoms. Doctors may suggest you use this cream with other treatments. However, some people can’t tolerate it and side effects such as skin burning and irritation may occur (these often lessen over time). Topical lidocaine, an anesthetic agent might also be prescribed for localized chronic neuropathic pain such as pain from the shingles virus. Their helpfulness in the treatment of diffuse chronic diabetic neuropathy is limited. Antidepressants: Certain antidepressants have been shown to interfere with the chemical processes in the brain and spinal cord that cause the body to feel pain. These medications may include tricyclic antidepressants, such as amitriptyline, doxepin and nortriptyline (Pamelor). Immunosuppressant medications: Medications to reduce the immune system’s reaction, such as prednisone, cyclosporine (Neoral, Sandimmune, others), mycophenolate mofetil (CellCept) and azathioprine (Azasan, Imuran), may also help people with peripheral neuropathy associated with autoimmune conditions such as [lupus] and [RA]. Other medications: Pregabalin (Lyrica) is a medication that is used for the treatment of postherpetic neuralgia (postherpetic neuralgia is a complication of shingles) and diabetic peripheral neuropathy. Duloxetine (Cymbalta) has been approved for use in the treatment of diabetic peripheral neuropathy. Various therapies and procedures may help ease symptoms of peripheral neuropathy. Intravenous immunoglobulin and plasma exchange: This treatment is also very common in the treatment of chronic inflammatory demyelinating polyneuropathy (a disorder characterized by progressive weakness and impaired sensory function in the legs and arms) and other inflammatory neuropathy. In immune globulin therapy, you receive high levels of proteins that work as antibodies. This helps to suppress immune system activity. Plasma exchange (called plasmapherisis) involves removing your blood and then removing antibodies and other proteins from the blood. The blood is then returned to your body. Transcutaneous electrical nerve stimulation (TENS): TENS is a non-invasive intervention used for pain relief for a range of conditions, and a number of studies have described its use for neuropathic pain. In TENS, varying currents of gentle electrical current is delivered through adhesive electrodes placed on the skin. It is recommended that TENS should be applied for 30 minutes daily for about one month. Physical therapy: Physical therapy can help improve your movements and counteract muscle weakness. Assistive medical devices such as canes, walkers, hand/foot braces might also be needed and helpful for those with mobility issues related to neuropathy. Surgery: If pressure on the nerves is being caused by tumors for example, surgical intervention might be required and recommended to reduce the pressure. In carpal tunnel, where there is typically injury to a single nerve, surgery may be an effective solution. Some surgical procedures reduce pain by destroying the nerve when other treatments have failed to provide relief. Typically, diabetic neuropathy is not treated with surgical intervention. Nerve block: A nerve block is an injection of anesthetics directly into the nerves. Fish oil supplements:These supplements, which contain omega-3 fatty acids, may reduce inflammation, improve blood flow and improve neuropathy symptoms in people with diabetes. Check with your doctor before taking fish oil supplements if you’re taking anti-clotting medications. Herbs: Certain herbs, such as evening primrose oil, may help reduce neuropathy pain in people with diabetes. Some herbs may interact with medications or make some medications less effective, so please discuss any herbs or supplements that you are considering adding to your diet with your doctor. Acupuncture: Acupuncture, which involves inserting thin needles into various points on your body, may reduce peripheral neuropathy symptoms. Multiple sessions might be required before any significant symptom improvement is noticed. Always be sure find a certified acupuncture specialist using sterile needles. Chiropractic care: This can include massage, muscle stimulation, ultrasound therapy and manipulation. Alpha-lipoic acid: This antioxidant has been used as a treatment to help reduce symptoms of peripheral neuropathy in Europe for years. Blood sugar levels may be affected by this antioxidant, so please discuss using alpha-lipoic acid with your physician. Other side effects could include skin rash and stomach upset. Amino acids: In people who have undergone chemotherapy and in people with diabetes, amino acids, such as acetyl-L-carnitine, may help improve peripheral neuropathy. Side effects may include nausea and/or vomiting. Quit smoking: Cigarette smoking can affect circulation by constricting the vessels that supply nutrients to the peripheral nerves, increasing the risk of foot problems and other neuropathy complications. Exercise: Ask your doctor about starting an exercise routine. Regular gentle exercise, such as walking, or swimming may reduce neuropathy pain, control cramping, improve your muscle strength, prevent the muscles from atrophy, and help control blood sugar levels. Yoga and tai chi might also help. Eat a balanced diet: Healthy eating is especially important to ensure that you get essential vitamins and minerals. Emphasize low-fat meats and dairy products and include lots of fruits, vegetables and whole grains in your diet. Protect against vitamin B-12 deficiency by eating meats, fish, eggs, low-fat dairy foods and fortified cereals. If you’re vegetarian or vegan, fortified cereals are a good source of vitamin B-12, but also talk to your doctor about B-12 supplements. Speak with your doctor about using various dietary strategies to improve gastrointestinal symptoms from neuropathy. Avoid excessive alcohol: Alcohol may worsen peripheral neuropathy. Monitor your blood glucose levels: Monitoring your blood glucose levels, if you have diabetes, will help keep your blood glucose under control and may even help improve your symptoms of neuropathy. Take good care of your feet, especially if you have diabetes: Wash and inspect your feet daily for any injuries, blisters, cuts or calluses. Help to keep the skin moist with lotion. Timely treatment of injuries can help prevent permanent damage. Wearing soft, loose cotton socks and shoes with padded inserts may also help. To keep bedcovers off of hot or sensitive feet and provide a better night’s sleep, you may wish to use a semicircular hoop. These can be found in medical supply stores. Protect your feet by always wearing shoes. Things laying around on the floor can be a tripping hazard, so try to keep your floor clear. Use your elbow, not your hand or foot to check the temperature of your bath or dishwater. Installing handrails in your bathtub or shower, as well as anti-slip bath mats can reduce the odds of falling or slipping and injuring yourself. For those whose work involves sitting for long periods of time, make the effort to get up and move around a few times each hour to improve circulation. It is important to not stay in one position for too long.